Sport Physiotherapy Canada meets Women’s Health Division of the Canadian Physiotherapy Association! Academy in Germany. The K-Taping® Gynaecology course has been taught in Europe for many years. 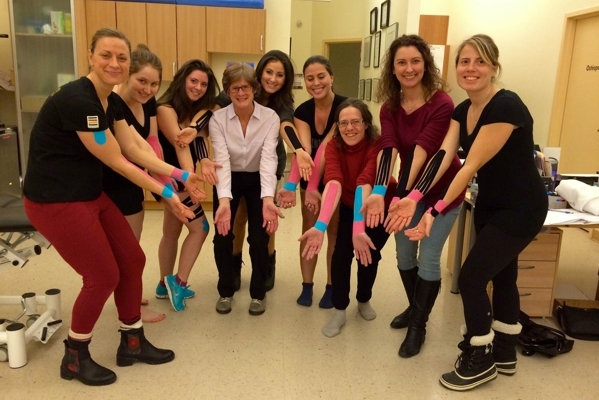 Diploma holders, have introduced this successful K-Taping® for Women’s Health Course in Montreal and Calgary. Academy certified physiotherapists begin to use these techniques in the Women’s Health/Pelvic Health area. For more information on courses offered through the K-Taping® Academy (Canada) visit www.k-taping.ca.